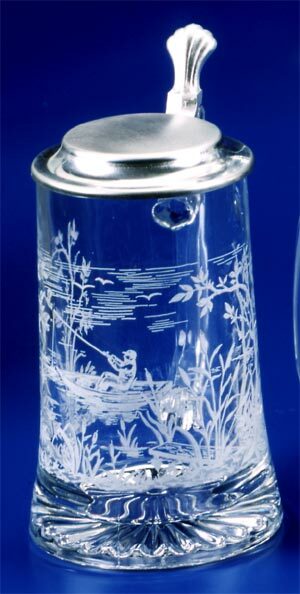 •Decorated with etched-style print of a fisherman in a boat. •Starburst light-reflecting pattern on bottom. •Origin: Germany •Volume: 0.40 L •Dimensions: 7-1/4 in.